What Is CRM And Why Do We Need It? This blog is all about what is CRM, what does it stands for and why do we need it? We have answered all these questions and more to show you how CRM can benefit your business in this blog, so let’s just start with the blog. CRM is more than just software. When it is implemented successfully, it can help you build better customer relationships, increase company revenue & enhance customer experience. CRM stands for Customer Relationship Management. CRM is a business strategy to manage customer relations more effectively for business growth. CRM for small business or big companies can be utilised to enhance an organisation’s capabilities as well as give a more personalised service to customers using intelligent technology. As per Statista, the worldwide CRM software market size will be around USD 2.6 million by 2021. Managing customers is no easy task. It involves time, effort and money. A growing database of customers requires gets more challenging with time. A business needs to keep their existing customers happy while investing enough time and effort to increase sales by bringing in new customers. 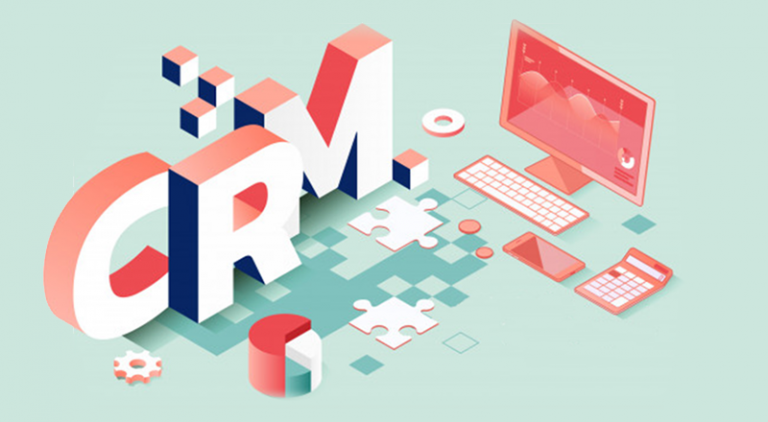 CRM for small business can help emerging companies to automate their CRM processes such as collecting valuable data and managing customer expectations while getting insights to come up with data-driven lead conversion strategies. Businesses also need to improve their workflows to enable their personnel to serve customers effectively. Let’s take a closer look at the benefits of CRM. Finance is the backbone of every business. To generate maximum revenue, you may have developed a sales funnel. But manual actions to manage the sales funnel can limit your potential to grow. Automation comes through CRM software. India is one of the fastest growing Asian countries with a rising number of startups. CRM for startups can be invaluable to build a systematic and automated process for managing customers with a smooth growth trajectory. If you are a booming startup, waiting for automation at a later stage may not be a good idea. Streamlining the whole process from the beginning will ensure consistency in customer services. Once customers are on board, any lapse in services can affect customer experience and may compel them to move on to other alternative products or services. Thus, CRM software ensures that your growth won’t be affected due to haphazard process flows. Streamlining the process will ensure that all customer calls and emails are answered on time. B2B CRM helps to build and maintain relationships with client companies by ensuring real-time customer response to critical issues. By accessing a single CRM platform which integrates real-time service/product information with customer interaction data, your Customer Care Executives will be able to provide information about the availability of products and other queries to customers. You may acquire customer data through various online and offline channels. Inefficiencies occur when the data is scattered across offices, in different physical files or in some software records on the devices of your Customer Service Managers. CRM software for small business can be used to collate and record all the data and store it in a centralised location. There won’t be any hassles while trying to locate customer data after automation. Each data point used to identify a customer and all the information related to the customer’s actions can be accessed in one place. The best CRM for small business generally stores the customer service data along with the marketing and sales data. Find out how your customers interact with your CRM events using the advanced reporting features of CRM software. An automated CRM system allows you to manage customers along with tasks and projects. It also gives you the ability to collaborate with your teams. You can easily track and assess the performance of your customer relationship management team with good CRM software. Find out all about how many emails and calls were answered and unanswered by whom, and whether the customers were happy with the interaction or not. Employees can be rewarded based on their track records. CRM software also helps you to improve your customer services and enhance the capabilities of your customer service teams. You will be able to fine tune your processes based on customer insights gained from the tracking tool. Converting leads to customers becomes easier when you have powerful data analytics of CRM software. Optimise your conversion probabilities by offering personalised communications to potential customers based on their interaction. A robust CRM software features lead management, contract management, support management, billing automation and other capabilities that help you gain more leads. In a well-designed B2C as well as B2B CRM software, you can use a template for managing proposals and invoices. Increasing the efficiency of your business through automated CRM software will help you to reduce time and cost which is otherwise unnecessarily consumed by manual processes. There are several tasks that require hours or days by humans that can be done within seconds by automated software. This process frees up the time of your human personnel to work more on strategies and do other critical tasks that need attention. Data is everything for today’s businesses. Cloud-based CRM software stores data securely in a centralised location in cloud storage spaces. This means that the data can be accessed from anywhere and at any time on different kinds of devices. A system crash or a corrupt hard disk isn’t going to cost you your valuable business data. Also, with built-in document management features, all the documents including contracts can be accessed by your CRM executives easily. The threat of data theft is also in control because nobody needs to download any data. PDF of documents can be directly emailed to customers or clients using the CRM platform without the need to access other software for data management tasks. People love to recommend and talk about brands that make them happy. Also, personalisation features in CRM software support your business by allowing you to interact with your customers using your own branding. Prompt answers to queries related to defective products, replacements, etc. by existing customers also builds trust. When your customer service responds to queries of potential customers such as product variants, promotional offers, etc., they feel more comfortable to place an order for your products. Eventually, your brand image gets a boost every time a happy customer speaks about you offline through word of mouth promotion or online through reviews. Be it a CRM software for small business or for growing online ecommerce stores, every time a customer makes a purchase, they wait for their product invoice. Everything is instant today. You cannot keep the customer waiting to send an invoice. With CRM software, you can generate an instant invoice and send a copy of the same immediately to the customer’s preferred email id. In today’s fast-moving world managing customers is no easy task. To handle all customer interaction data it involves time, effort and money. As business grows the growing data base of customer also get increases and as it get more challenging with time to handle all customer data. A business has the responsibility to keep their existing customers happy while investing enough time and effort to increase sales by bringing in new customers. For all this CRM, is a program designed to gather all aspects of your customer information in one place. It can help you in collecting valuable data and managing customer expectations while getting insights to come up with data-driven lead conversion strategies. Moreover, centralizing and digitalizing sensitive customer information is more secure than keeping paper files.